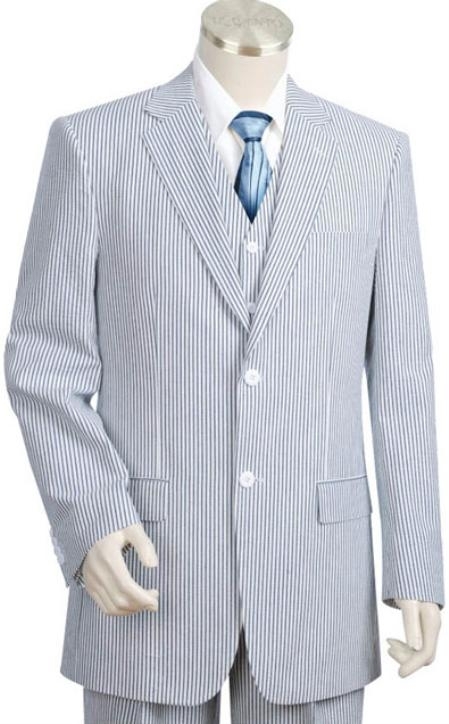 Seersucker suits are the favorite of men who love fashion suits with simple look but great style. You will not need a lot of attitude to wear them as fabric and its look is good enough to give you the smartness automatically once you wear them on. The unique pattern of the fabric's texture is one attractive feature that no one will fail to enjoy. Apart from the fact that this is a full cotton fabric that is just great for summer, you will find it as cool as a cucumber on your skin because of its texture. The wavy texture of seersucker fabric makes you feel breezy all time long. The special quality of the fabric enables free air flow between the fabric and the skin of the person who is wearing the suit so that they feel less sweaty than normal and keep them cool. Another special feature of this fabric is its signature color combination that makes it even more special. The most common color combinations in which you get seer suckers are whit with green and white with blue. Due to technological advancements in the field of dyeing, we find a lot more other color combinations in which this fabric is manufactured. 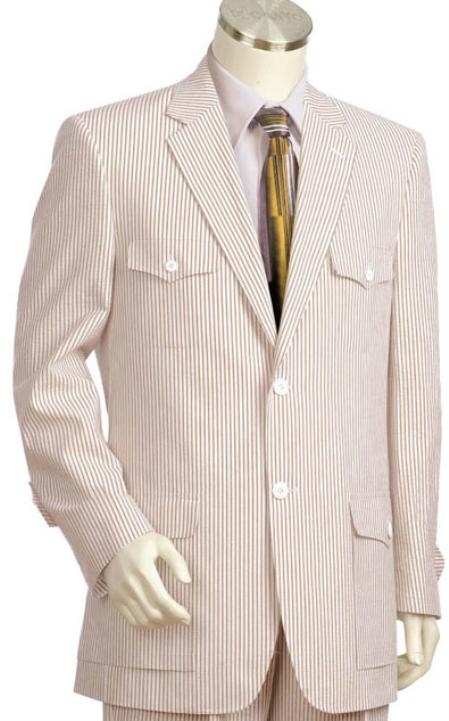 Though there are lots of color options in seersucker suits, we find that men go for the traditional ones as those are exceptionally only one of its kinds. We have talked enough about the looks of the fabric and how men love to wear it but, there is yet another point to let you know why seersucker suits are picked as the best for mens casual wardrobe collection. Unlike any other cotton fabric types, seersucker is very easy to maintain. There is no need to press a Seersucker suit before you wear them on as the natural crumbled look of the suit never looks weird and only ads points to your fashion statement however you maintain them.